Featuring Curtis Lundy on bass and Billy Hart on drums. 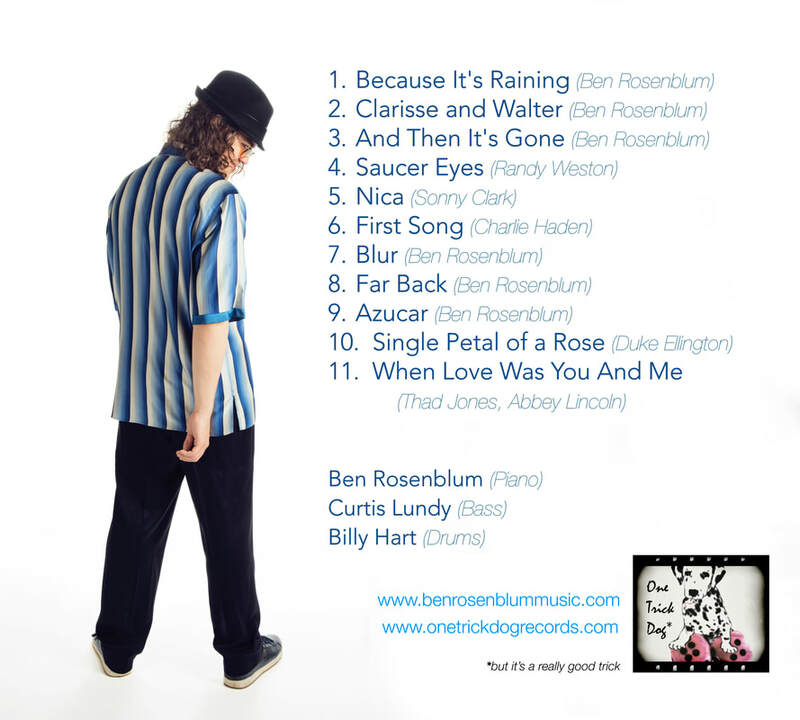 Rising star Ben Rosenblum's debut album is a culmination of many years of musical development as a jazz pianist, composer and bandleader. Featuring jazz legends Curtis Lundy on bass and Billy Hart on drums, Instead combines Ben's foundation in traditional hard bop with his modern melodic sensibility and inventive composition. 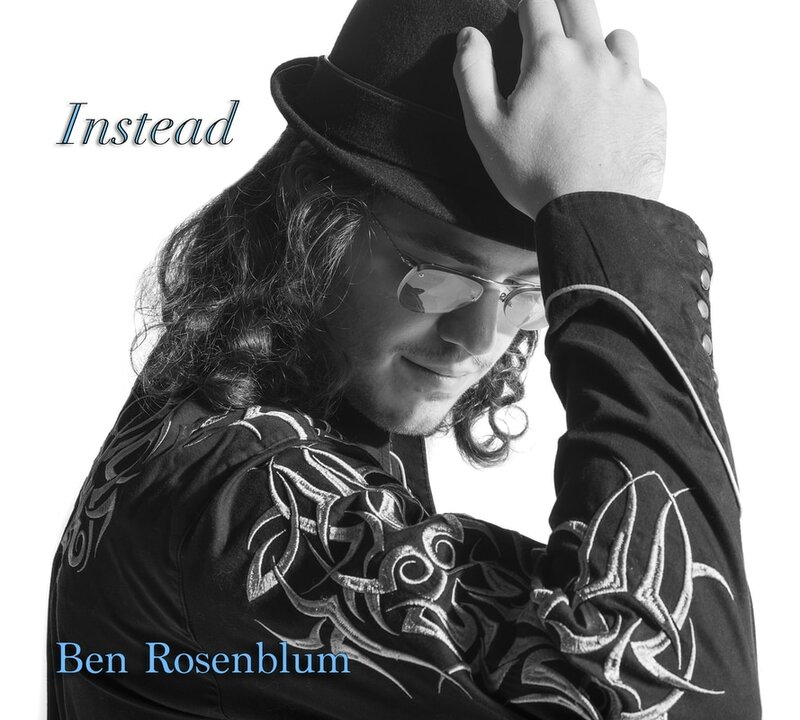 Instead features six of Ben Rosenblum's original compositions, written at various stages in his musical career. These compositions, which have evolved and adapted as Ben's music has changed and grown, demonstrate Ben's versatility as a musician, and his appreciation for many different styles of jazz. The album's opener, “Because It's Raining,” is a sensitive and dynamic piece which features one of Ben's most memorable melodic motifs juxtaposed with Billy Hart's atmospheric accompaniment. The next track, “Clarisse and Walter,” shows Ben's inclination towards more traditional straight ahead jazz, and features a arrangement that hearkens back to Art Blakey or Hank Mobley. The album continues in similarly diverse fashion: “And Then It's Gone” is a beautiful bossa nova, “Blur” an up-tempo which hearkens back to the intensity of 1980s post-bop, “Far Back” a waltz reminiscent of a Bill Evans composition and “Azucar” an energetic Afro-Cuban number. Instead also includes five songs written by other composers. These tracks include a haunting rendition of Charlie Haden's “First Song” and a bowed bass feature for Curtis Lundy on Duke Ellington's classic ballad, “Single Petal of a Rose.” Rounding out the album are three hard swinging medium swing songs written by famous jazz musicians: Sonny Clark's “Nica,” Randy Weston's “Saucer Eyes” and Thad Jones' “When Love Was You And Me. "The music is thoughtful. . . . Rosenblum and Lundy caress [the music] with the reverence it merits." "There do emerge conservatoire aces with grit in their imaginations and a facility to express such in their playing. Ben Rosenblum is one such performer/composer." "Hands of a diamond cutter"
"Certainly the kind of cat that's going to go the distance"
Available for purchase at CD Baby (Physical Copy) and Amazon (Digital Copy), and available for listening on all major streaming sites!